The Lake Forest Country Day School Visual Arts Department has been invited to participate in the annual Deer Path Art League’s Emerging Artist show at The Gallery in Lake Forest. The exhibit celebrates National Youth Art month and is designed to honor the creativity and hard work of young local artists. 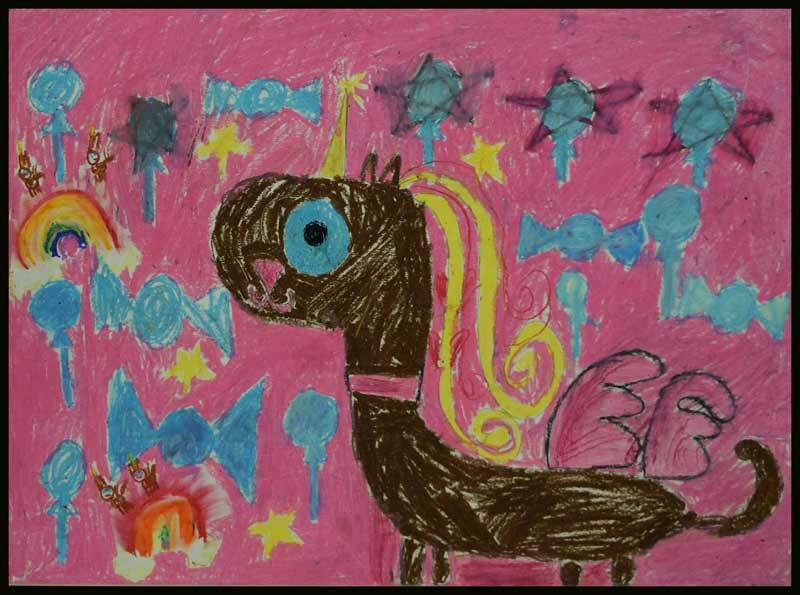 This year, the LFCDS Visual Arts Department will display artwork from ten students from Grade 1 through Grade 8. Each piece was selected based on artistic merit and the student’s classroom efforts and objectives. The students chosen to represent LFCDS with their 2D artwork are Winston Alley (Grade 1), Olivia Westin (Grade 2), Cooper Zuerlein (Grade 3), Jahstone Martin (Grade 4), Myles Haight (Grade 5), Evalyn Lee (Grade 7), and Hanna Cobin (Grade 8). Students chosen for their 3D artwork are Kaylie Jaster (Grade 6), Nate Wehner (Grade 6), and Emma Berti (Grade 6). Art by Lake Forest Country Day School student Olivia Westin. 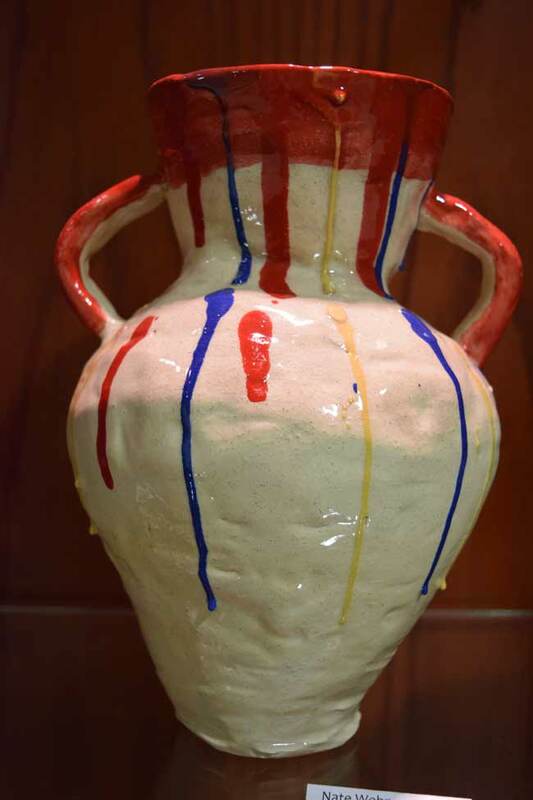 Ceramic vase by Lake Forest Country Day School student Nate Wehner. The Emerging Artists exhibit kicks off with an opening reception on Sunday, April 8 from 12 p.m. to 3 p.m. at The Gallery for students, families, and faculty. The show is open to the public from Sunday, April 8 through Saturday, April 28, from 5 p.m. to 8 p.m. Tuesday through Saturday. The Gallery is located at 202. E. Wisconsin Ave, in Lake Forest. Lake Forest Country Day School serves students from more than 35 communities throughout the North Shore and beyond. A regional center of excellence for early childhood, elementary, and middle school education for children two years old through Grade 8, LFCDS is committed to inspired teaching, academic rigor, attention to individual needs, and responsible citizenship as well as the dedication to producing students of strong character with a passion for learning.